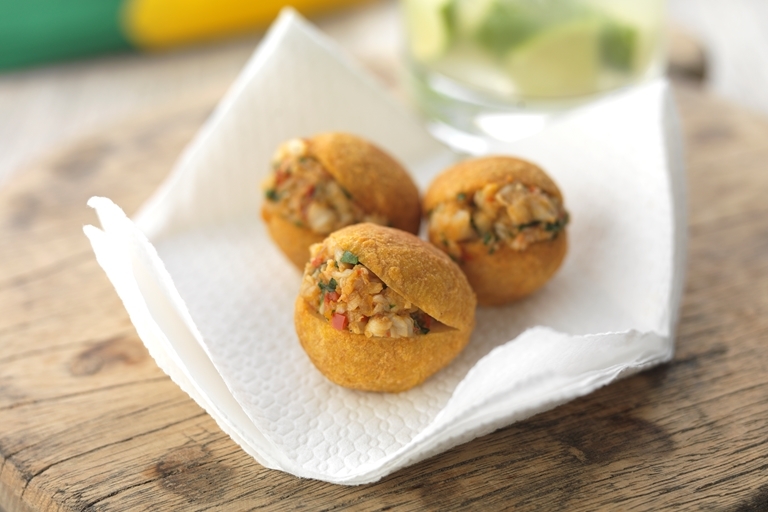 This acarajé with vatapá recipe makes the perfect snack at a Brazil-themed party. The crispy bean and onion cakes (acarajé) are stuffed with a flavourful vatapá - a popular Brazillian mix of shrimp, crab, nuts and coconut milk. Chef Marcello Tully says acarajé is one of his favourite Brazillian street-food snacks, citing their moreishness and aroma as a major attraction.